Here's your chance to be a gladiator. 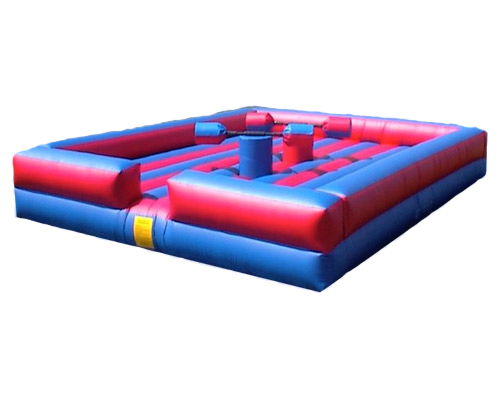 Put on a helmet, and climb atop of the pedestals in the middle of the inflated ring. Next, grab your jousting pole, and try knocking your opponent of of their pedestal. You'll be talking about this fun for a long time.